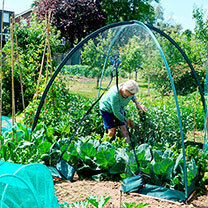 A unique new fruit and vegetable net protection system. Its lightweight fibreglass poles make it easy to assemble or relocate, plus it covers a useful 2m x 2m (6'6" x 6'6") of ground and provides good head room with a central height of 2m (6'6"). 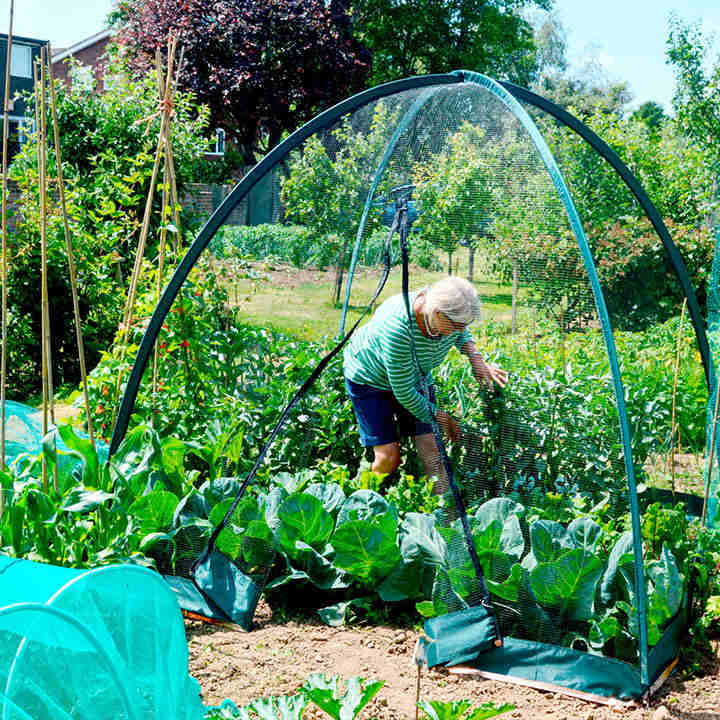 All of the covers have easy zipped access on one side, are made from UV-treated materials for long life, and feature a unique sewn copper strip along the base line to deter slugs and snails! Complete with twelve 20cm (8") ground pegs, plus a handy carry case for storage. 2m x 2m (5mm net gauge approximately) Insect Net Cover.